Janet Pattison was born in 1970 in Chula Vista, California, and was raised in Coronado, California. She was commissioned a 2d Lt in the U.S. Air Force through the Air Force ROTC program at the University of California at San Diego on June 20, 1992, and then attended Undergraduate Missile Training at Vandenberg AFB, California, from February 1993 to June 1995. Lt Pattison then served as a Minuteman III ICBM deputy combat crew member, combat crew commander, flight commander, and instructor with the 319th Missile Squadron at F.E. Warren AFB, Wyoming, from July 1993 to May 1997. After completing Air Force Academic Instructor School and Squadron Officer School, Capt Pattison served as an Assistant Professor of Aerospace Studies with the Air Force ROTC detachment at Loyola Marymount University, California, from August 1997 to June 2000. 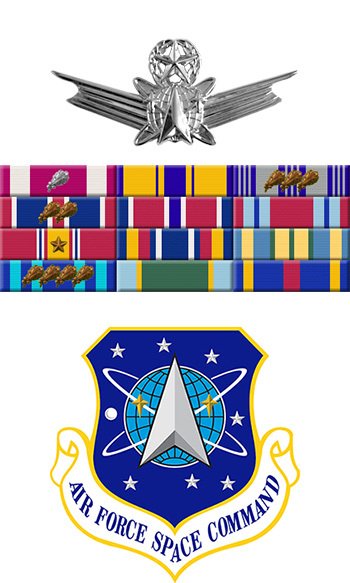 Her next assignment was as Chief of the Space Training Education and Exercise Technical Planning Integrated Product Team, and Deputy of the Space Training Acquisition Office with the Space and Missile Systems Center at Los Angeles AFB, California, from June 2000 to August 2002, followed by service as Command Lead of Space Professional Development with Headquarters Air Force Space Command at Peterson AFB, Colorado, from August 2002 to April 2004. Maj Pattison next completed an Air Force Institute of Technology assignment before serving as Chief of Congressional and Media Affairs, and Executive Officer in the Directorate of Space Acquisition with the Office of the Undersecretary of the Air Force at the Pentagon from June 2005 to April 2007. Her next assignment was as Chief of Space Operations with the Secretary of the Air Force and Chief of Staff of the U.S. Air Force Executive Action Group at Headquarters U.S. Air Force in the Pentagon from April 2007 to June 2009, followed by service as Commander of the 81st Training Support Squadron at Keesler AFB, Mississippi, from June 2009 to May 2011. Her final assignment was as Branch Chief, Space and Cyber Professional Management Office, with Air Force Space Command at Peterson AFB, Colorado, from May 2011 until her retirement from the Air Force on February 28, 2013. For the Period 7 June 2009 to 16 June 2011: Lieutenant Colonel Janet J. Pattison distinguished herself in the performance of outstanding service to the United States as Commander, 81st Training Support Squadron, 81st Training Group, 81st Training Wing, Keesler Air Force Base, Mississippi. During this period, Colonel Pattison's superior leadership was critical to her success in commanding a squadron of 266 military and civilian personnel responsible for supporting seven training squadrons in generating over twenty-four thousand technically trained graduates per year. Under her guidance, the squadron managed group resources in excess of 57 million dollars and a 187 million-dollar equipment account. She provided critical oversight during the transformation from traditional communications instruction to the Air Force Cyber Training Schoolhouse, incorporating a 25 million-dollar budget, nineteen courses, 274 instructors and standing up a Curriculum Development Flight. Her inspiring leadership paved the way to the unit's recognition as the 2009 Air Education and Training Command Learning Innovation Award winners. 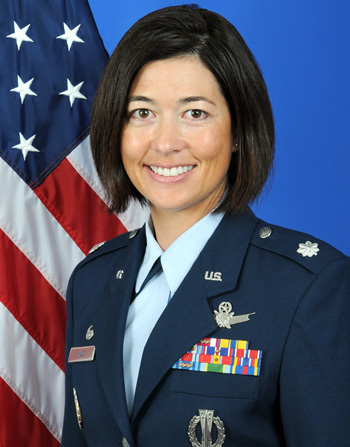 Additionally, her commitment to excellence resulted in the squadron receiving "Excellent" ratings during both the 2010 Second Air Force Standardization Evaluation and the 2010 Air Education and Training Command Unit Compliance Inspection. The singularly distinctive accomplishments of Colonel Pattison reflect great credit upon herself and the United States Air Force.